This really is the best healthy granola recipe! It’s quick and easy to make, naturally sweetened with (just a little) maple syrup, and always so flavorful and delicious. Alright, time to pin, print, save, tag, or bookmark this recipe however in the world you prefer. Because I’m telling you, this one is a total keeper. As I’m sure you’ve noticed by now, our little household has a borderline out-of-control granola obsession. We’re constantly whipping up various kinds of granola (or granola bars) to keep on hand for easy breakfasts, lunches, snacks, and — let’s be real — our fair share of lazy weeknight dinners cozied up on the couch with a bowl and a side of Netflix. We love it plain, we love it drowning in almond milk, we love mixing it with fresh fruit and Greek yogurt into parfaits, we love sprinkling it on everything from desserts to mashed potatoes to salads (<– yes, surprisingly good). 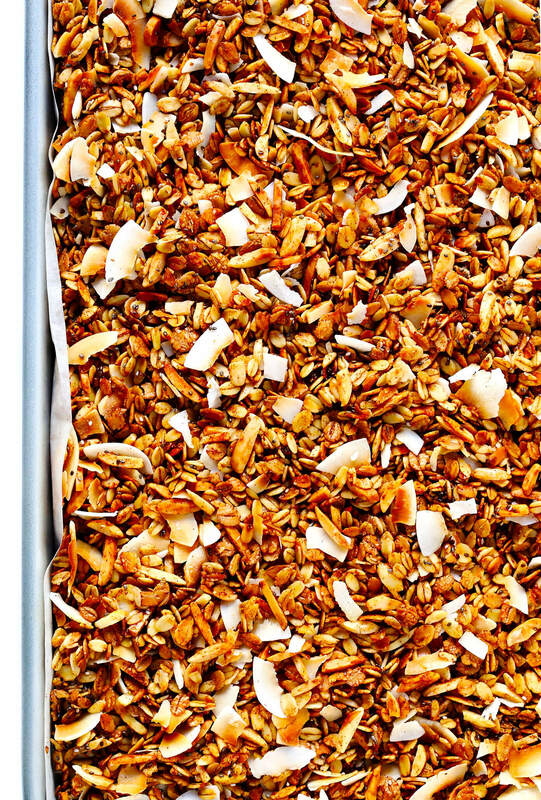 We just freaking love granola. And while I have shared over a dozen kinds of fun and quirky granola recipes here on the blog over the years, I will be the first to admit that the vast majority of the time, we usually keep things simple and default to this classic healthy granola recipe right here. In my granola-obsessed opinion, it’s simply the best. Partly because it’s super quick and easy to make, with ingredients you probably already keep in your pantry. Partly because it’s full of feel-good ingredients, including lots of protein and omega-3s. Partly because it isn’t overly sweet, just lightly tossed with a bit of honey or maple syrup. Partly because it’s perfectly crunchy, and easy to customize with whatever ingredients you love most. 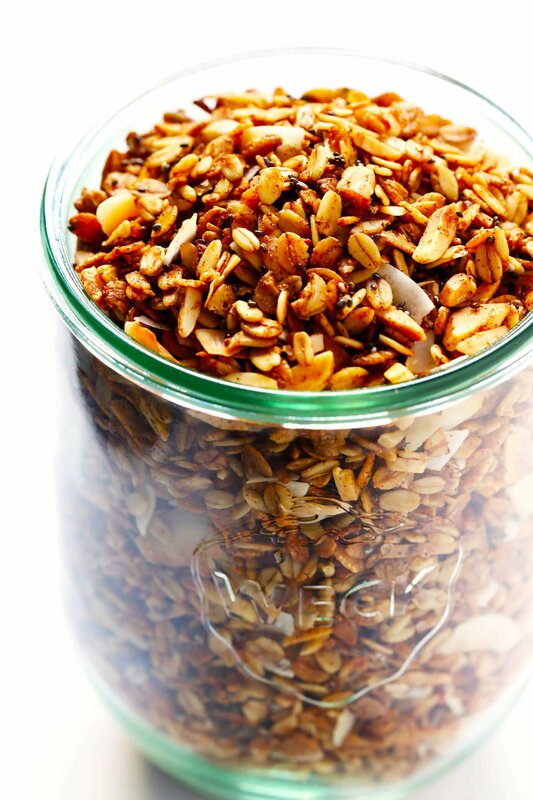 But mainly, I just love this granola recipe because it is downright delicious. So if you’re on the search for a back-pocket, tried-and-true, perfectly-crunchy, all-kinds-of-flavorful, feel-good granola recipe of your own, I highly recommend giving this one a try. I think you’re going to love it! Old-fashioned oats: Also known as rolled oats. If making this recipe gluten-free, be sure to double-check that the brand you buy is certified GF. Nuts: I almost always use slivered almonds in my granola. But feel free to replace them with your favorite nuts or seeds (like pepitas or sunflower seeds). Chia seeds: I like sprinkling these in for extra omega-3s, but feel free to omit them if you prefer. Melted coconut oil: Or your preferred kind of oil. Ground cinnamon, salt and vanilla extract: To flavor the granola. Flaky coconut: Or you can use shredded coconut, or omit the coconut altogether. Toss together (most of) the dry ingredients. Oats, almonds, chia seeds, cinnamon and salt, that is. We’ll save the coconut and any extra add-ins for later. Add the wet ingredients. Whisk together the melted coconut oil, maple syrup, and vanilla. Then drizzle it over the dry ingredients and give everything a good toss until it’s evenly mixed. Spread the mixture out evenly on a large parchment-covered baking sheet. Bake. Let the mixture bake at 350°F for 20 minutes. Then remove from the oven and give the mixture a thorough stir. Add coconut. Then sprinkle the coconut evenly on top of the granola. (We’re doing this so that it’s just lightly toasted and doesn’t overcook.) And pop the baking sheet back in the oven for another 5 minutes, keeping a close eye on the coconut so that it doesn’t burn. Then remove the baking sheet from the oven and transfer it to a wire rack. 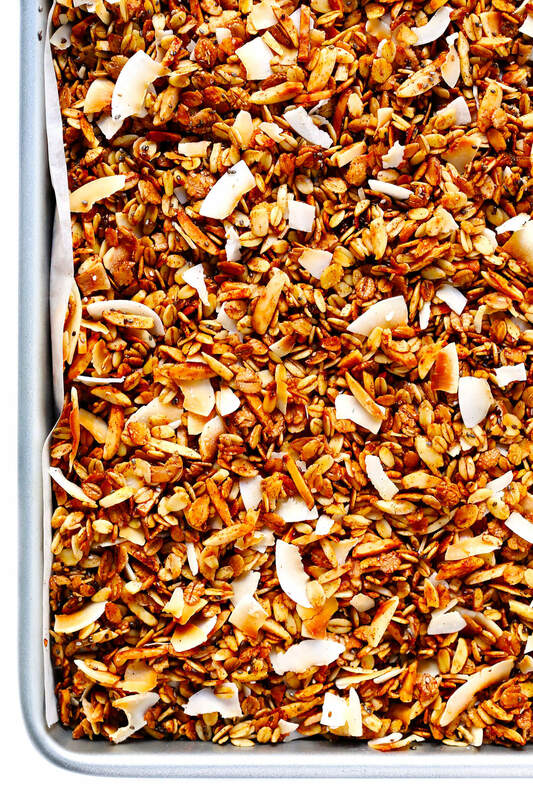 Let the granola cool. Wait for about 20-30 minutes, or until the granola has completely cooled to room temperature. Then use a spoon (or your fingers) to break it up into your desired size of clumps. Enjoy! You can either serve the granola right away. Or transfer it to a sealed container, and it should keep for up to 1 month. Dried fruit: Any kind of chopped dried fruit would be delicious here. Chocolate chips: As would, of course, your favorite kind of chocolate chips. Peanut butter: Feel free to stir in 1/4 cup natural peanut butter (stir it into the melted coconut mixture) if you would like. Warming spices: I’ve kept the recipe simple below with just using ground cinnamon. But feel free to add in any other additional warming spices that you love, such as ground nutmeg, cloves, ginger and/or allspice. Be sure to check out some of my other favorite granola recipes too! This truly is the BEST healthy granola recipe! It’s quick and easy to make, it’s naturally sweetened with (just a little) maple syrup, and so flavorful and delicious. 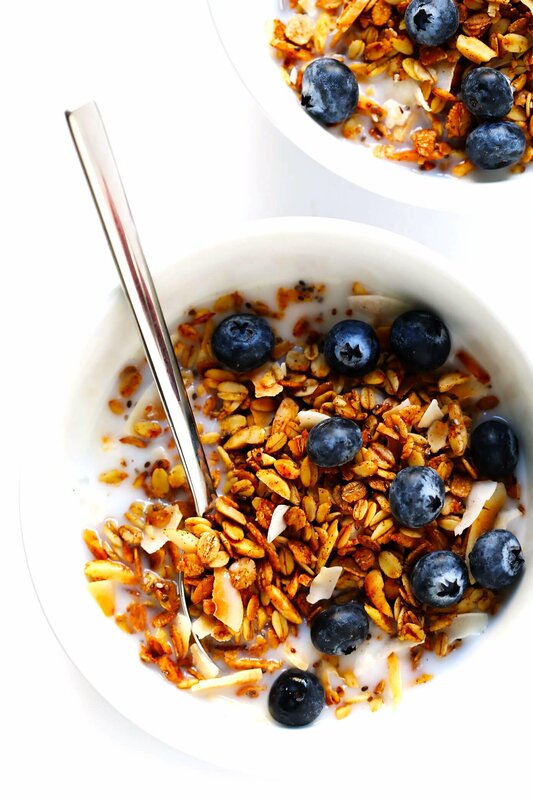 See above for more ideas on how to customize your granola too. Heat oven to 350°F. Line a large baking sheet with parchment paper, and set aside. In a large mixing bowl, stir together oats, almonds, chia seeds, cinnamon and sea salt until evenly combined. In a separate mixing cup, stir together the melted coconut oil, maple syrup and vanilla extract until combined. Pour the coconut oil mixture into the oats mixture, and stir until evenly combined. 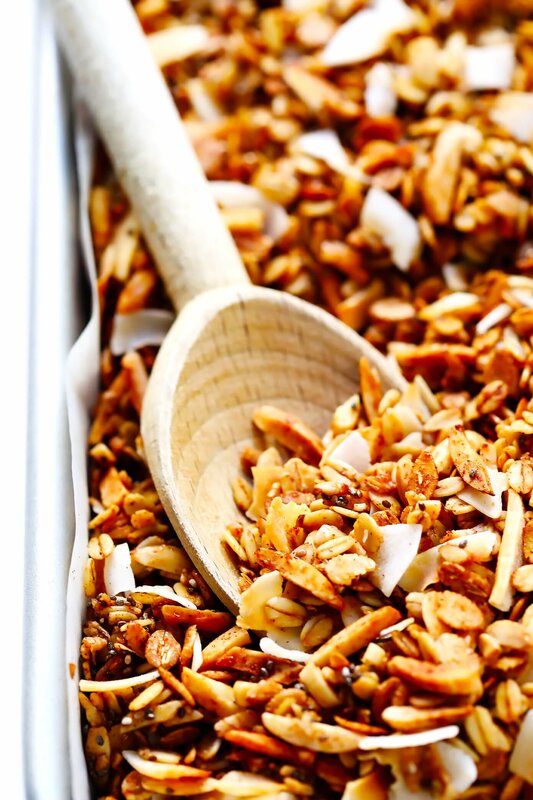 Spread the granola out evenly on the prepared baking sheet. Bake for 20 minutes, stirring once halfway through. Then remove from the oven, add the coconut, and give the mixture a good stir. Bake for 5 more minutes, until the granola is lightly toasted and golden. Remove from the oven and transfer to a wire baking rack. Let cool until the granola reaches room temperature. Then stir in the dried fruit, chocolate chips or any other optional add-ins you might prefer. 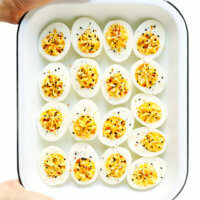 Serve immediately, or store in an airtight container at room temperature for up to 1 month. *If making this recipe gluten-free, be sure to use certified GF oats. Hi! 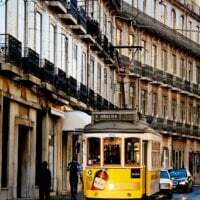 I have just enjoyed your December update video about your month in Barcelona! Thank you both for including all of us who have been enjoying your blog in this next stage of your life together! I am really loving your look back at favorite times and the hard times too. Learning a lot, and wishing you both a GREAT year in Barcelona! Aw, thank you so much for watching, and for your encouraging words! :) We really appreciate it! This recipe is similar to the granola I usually make, except mine doesn’t have cinnamon and does have dried cherries. I’ll have to try making a batch of your granola, and I will probably add fruit. This looks great! Should the almonds be raw? I use the basic slivered almonds, which I believe are briefly blanched. 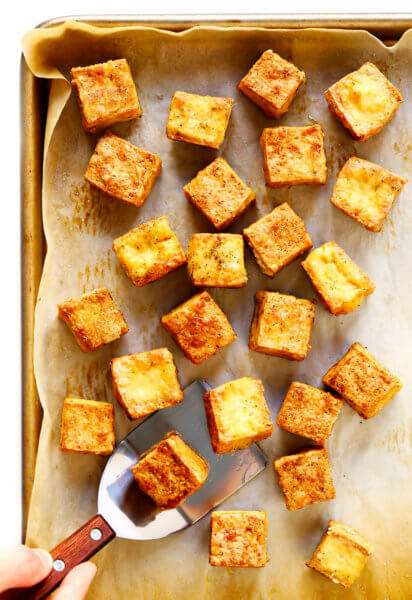 This looks so good, I’m making some today! The last batch of granola I made was pumpkin flavored and now that the Holidays are done I’m so over that for awhile! :) I love a nice big sprinkle of granola over my greek yogurt! Thanks for sharing this recipe! This looks great, thank you. How could I make this into granola bars? Or do you have another healthy recipe for that? I made this tonight. Your timing was perfect as I needed a change in breakfast. A lot of my chia seeds stuck to the parchment paper. Is that normal? as my family always gobbles it right up! Should turn out just as tasty, non? Sure thing, feel free to double or triple! You’ll just need to bake each batch on a different baking sheet so that it doesn’t overcrowd the pan. ;) Enjoy! I have never made granola but I will try your recipe. Wishing you both a Happy and Healthy New Year and looking forward to your blogs. Thank you so much! 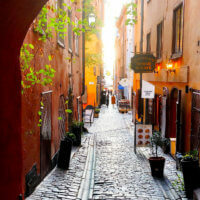 Your insights into a new and exciting time of your life are wonderful to read about. Sounds yummy! Chia seeds and I don’t get along, so I assume I can just leave them out! Happy New Year to you and Barclay! Sure thing! Feel free to just leave them out. :) And thank you! I see that you say it yields about 6 cups -what would you say the recommended serving size would be? The recipe sounds great. As a diabetic I would also appreciate having the fiber, Carbohydrates, protein and etc. included in the recipe. I may have to try this granola after I figure out the nutritional values. This looks very yummy, excited to start a new healthy year and will be making this recipe this weekend…any idea of calorie content? Made this yesterday and loved it! Really great flavor! I really appreciate that it’s not overly sweet too. Any issues replacing chia seeds with hemp hearts? None that I can think of…would love to hear how it goes! Soooooo good! I’m so glad I made a double batch! Thanks for another great recipe, Ali. This sounds so delicious! And you can do so much with this recipe too! I made it yesterday, and it is absolutely delicious. I will definitely put this on repeat as I am on a major granola with greek yogurt and fruit kick right now:) My new favorite granola recipe, and I have made a few! The only thing I changed is that I added only 1 tsp of cinnamon this first time as my husband is not a cinnamon fan. But I think next time I will go ahead and try the recipe exactly as written. Thank you! I knew the second I saw you making this on your Insta Story that I just had to make it myself! It is AMAZING and I now have a slight addiction to it! ;) My boys love it too. This will definitely become a staple in our house! We totally demolished the first batch and I was having serious granola withdrawls so I just made another batch. This time I added in a little honey as well for extra sweetness and I used have vanilla extract and half almond extract. I can’t get enough of it!! I made this last week and was able to follow the recipe exactly, using what I already had in my pantry – bottom line, absolutely loved it, and my husband is a huge fan also! 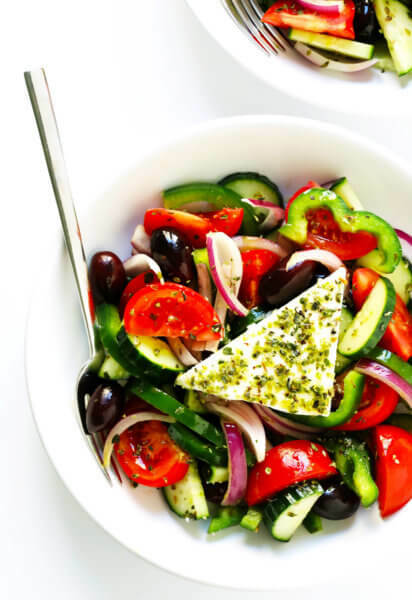 We’ve been enjoying it over homemade greek yogurt, along with berries and local honey…a great, fresh breakfast to break us out of the winter doldrums here in Chicago. Thanks for such a great recipe – I will definitely be making it again soon! I’d like to make this granola with the “everything bagel” seasoning suggestion, however, how much would you recommend? Also, I would assume you leave out the cinnamon, salt, and vanilla if going the more savory route? Thanks so much! Can you make this with old fashion oats instead of steel cut? I haven’t made granola for years so thought I’d start with a fresh recipe. I adjusted a few things, but the biggest thing for me would be to simply sprinkle the chia seeds on top of each serving as opposed to including them in the recipe. I also added sunflower and pumpkin seeds. Great base recipe! I just made this tonight for my son’s youth group event. I had to make extra to keep for myself! I used the almonds (all I had were whole almonds so I just gave them a rough chop). For the fruit, I used cranberries, and raisins. Is delicious! Just wanted to let you know, love this granola recipe!!! Great for mealprep for my hubby’s breakfast on the go and great for my preworkout meal when it’s too early to fix anything lol. Thank you! Delicious. Really loved this recipe – enjoyed mixing it into my yogurt at breakfast :) Basic recipe was delish I just added cashews and a small amount of walnuts. This week I am going to try adding crunchy peanut butter and substitute the chia seeds with hemp hearts! Very quick and easy and my family loves it! I’ve been making your granola cup recipe for almost a year now! Forgive me the cups take too long but I eat the granola every morning just like your husband. I big bowl of strawberries, blueberri8es, greek yogurt and granola with a cappuccino. LOVE IT! 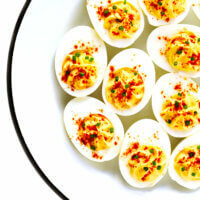 This recipe is so simple but oh so yummy and filling. I really enjoyed it. I added chocolate chips and dried fruits and it’s the best tasting granola I ever I had! Can’t wait to try your other recipes. Well done and thanks for sharing. AMAZING!! I made the raspberry jam too and can’t wait to have them both with the yogurt….love your recipes! I look forward to making more of them 🙂💕 thanks so much for all you do!!! 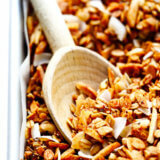 This is a great base granola recipe. 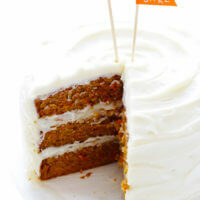 I love the cinnamon and coconut flavors and the versatility of this recipe. Thank you! Did I miss something in the healthy granola recipe? How much oil? How much honey? How much vanilla? I’d love to try this but I don’t want to mess it up. thanks! Do you have macros and calories listed anywhere for recipes? Trying to track. Thanks, love your recipes and site! 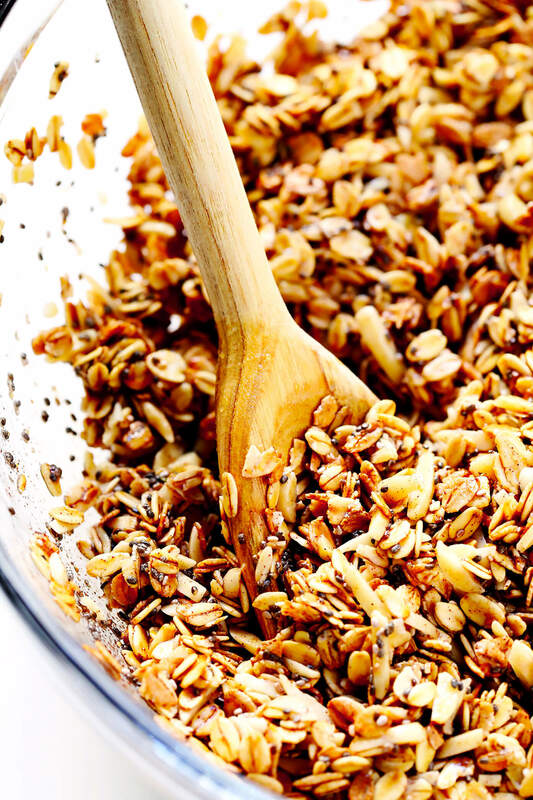 I am very happy to have found such a healthy and absolutely delicious recipe for granola! I LOVE the amount of cinnamon in it and the unsweetened coconut! Just had some mixed into vanilla Greek yogurt (Oikos Triple Zero) for breakfast, and it was AMAZING! Thanks so much!! Hi :) So trying out this recipe for the first time and all is going good, except i added my dried fruit (1/2 cup of raisins) before I put it in the oven. Will my granola be a clumpy meltemelted disaster? Question! I don’t love coconut, can I skip it? Don’t mess with perfection. 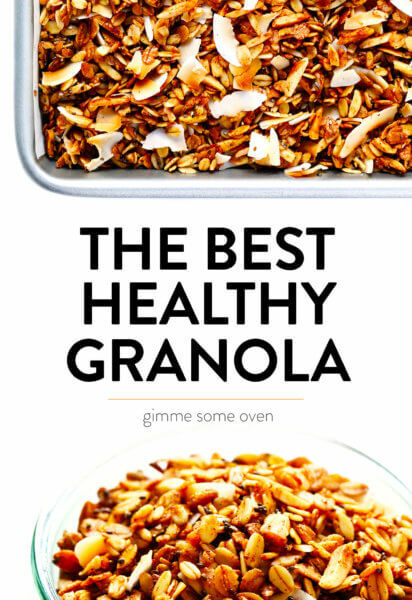 This recipe IS the $5 per box granola that costs only 50¢ to make. Toasty, well-balanced. just the right amount of everything. Only mildly sweet. Perfection. I think I am sticking to this granola like honey to a spoon. 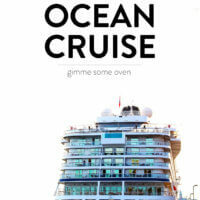 Thanks, Gimme Some! Just made this recipe: easy to follow and so tasty, could not help myself from trying some of it with yoghurt while still warm from the oven! 5 stars from me! This is THE BEST GRANOLA EVER!! I’m intolerant to a lot of nuts, so I finally found a granola I could eat. My husband and I have to fight for the last portion XD My mom-in-law loved it too! I can’t get enough! 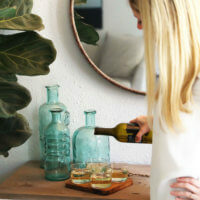 I’ve discovered your blog a few weeks ago and I’m obsessed! Going away making another batch now! I make this often and we LOVE it. Our friends love receiving it as gifts, too! The only thing I do differently is that I press it down before baking and leave it to bake without stirring, because we like it a bit chunky. I’m just about to make your cabbage and sausage soup to have for dinner! I think giving granola for gifts is a great idea! Any ideas for containers that seal well will be welcomed, so nothing gets stale. As if!!! Thanks in advance. I made this today and it turned out yummy! Used chopped walnuts in lieu of almonds, pumpkin seeds in lieu of chia seeds and added raisins and dried cranberries. Just the right amount of sweetness and crunch! Well worth the effort! I diid it!!! Thank you so much. I added amaranto, yummy. 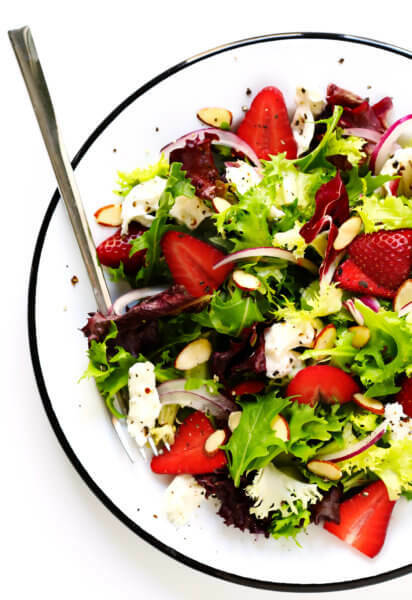 I make this recipe every week using different nuts and seeds and add ins and I love it!! My favourite has orange peel, sunflower seeds and almonds… Honestly don’t know what I’d do without this!! I reduced the coconut oil and it was still delicious. Definitely NOT low calorie but still a nice treat. I realised that after I had put coconut in so I left the coconut in for the remaining 10 mins. The coconut was definitely more burnt than I’d like but otherwise it was still really successful! I used olive oil and honey instead (just what I happened to have an the pantry) and it was really good. Will make again with proper cooking times next time! Delicious! I followed the recipe (easy and quick!) added in pecans and cherries. So good!! I love that all the ingredients are already in the pantry. Thank you Ali for all the great recipes! Thank you for this great granola recipe. We all love it and I’ve been doubling the recipe and still have to make it every three weekor so. I do add some extra nuts, some wheat germ and lots of unsweetened flake coconut. So good!